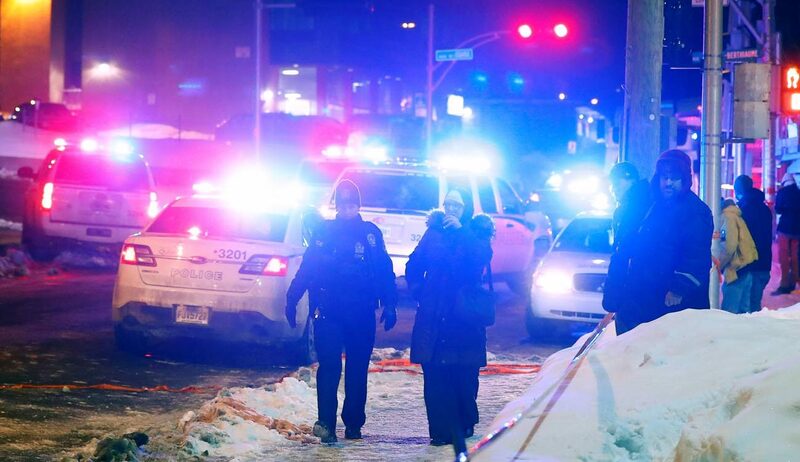 UPDATED – QUEBEC CITY — Faith and political leaders condemned a shooting at Quebec’s main mosque that left at least six people dead. Vigils were scheduled Jan. 30 in Quebec City and Montreal, the evening after a man entered the Quebec Islamic Cultural Center and opened fire, killing at least six men who were praying and injuring 19 more. Police later said they had arrested a suspect in the attack, the motive for which remained unclear. Pope Francis met with Quebec Archbishop Cardinal Gerald Lacroix in Rome Jan. 30 and assured him of his prayers for the victims of the attack on the mosque. A Vatican statement said the pope highlighted the importance of Christians and Muslims remaining united in prayer in these moments. 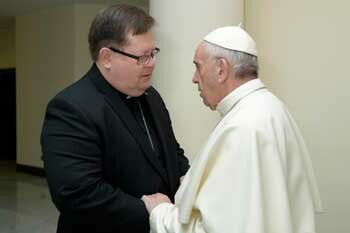 Afterward, the cardinal immediately departed for Canada. The Anglican bishops of Quebec City and Montreal were in Canterbury, England, when the attack occurred. “We wish to express directly to our Muslim neighbors in Quebec our grief and repugnance at this brutal act of violence against another community of faith, and one in the midst of prayer. When one is attacked, we are all attacked, and our whole society is diminished,” they insisted. Archbishop J. Michael Miller of Vancouver, British Columbia, expressed shock and sadness about the attack and sent condolences to members of the cultural center and to Canada’s entire Muslim community. “Be assured we will continue to reach out in solidarity to the Muslim community, united in prayer with our Muslim brothers and sisters for the victims of this attack,” Archbishop Miller said in a statement Jan. 30. Canadian Prime Minister Justin Trudeau was scheduled to be in Quebec City Jan. 30. Quebec Mayor Regis Labeaume stayed up all night to assess the situation. “My first thoughts go to the victims and their families hit while they were gathered to pray. Quebec is an open city where all must be allowed to live together in security and respect,” he said. “I invite the population to come together and stand united. Quebec is strong, Quebec is proud, Quebec is opened to the world,” he added. Vaillancourt is editor on Montreal-based Presence info.